I got a chance to see some live riffing this weekend! 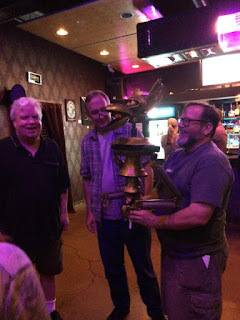 Trace Beaulieu and Frank Conniff at the Voodoo Comedy Playhouse here in Denver. Top notch show and I dragged my Crow along. He now sports some cool ink. Absolutely the coolest thing EVER! 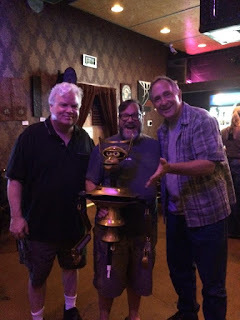 Re: The Mads have Voodoo! I'm glad that Trace and Frank are working together again!